Fire crews miraculously escape injury during blaze Monday at business on Peardonville Road. Sep. 12, 2016 1:00 p.m.
Crews responded to a fire at an industrial site on Peardonville Road in west Abbotsford on Monday afternoon. 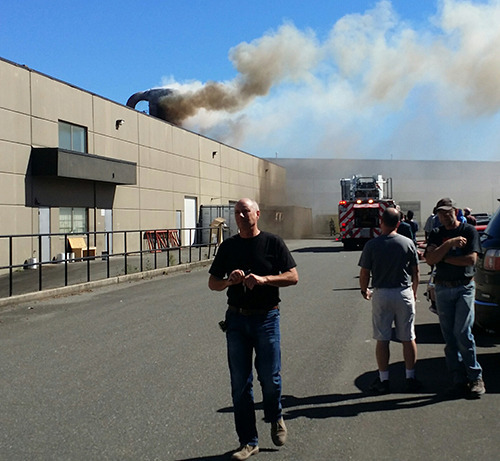 There are no reports of any injuries after a large dust explosion that overtook firefighters battling a blaze at an industrial building on Peardonville Road in west Abbotsford. 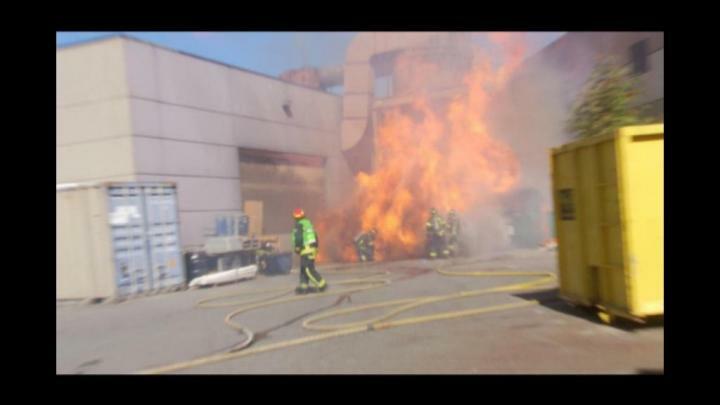 Flames took hold in a hopper storing dust at a furniture manufacturer just before 1 p.m. According to witnesses, crews were dousing the hopper when it was opened. Dust spilled forth and instantly ignited. Thanks to their equipment, though, the firefighters on the scene were uninjured. Employees from the business have been evacuated and fire crews from multiple halls have been dispatched. By 1:35, the fire appeared to be extinguished.